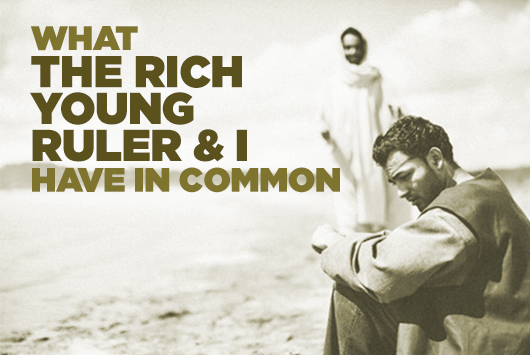 Two questions concern me today about the encounter of Jesus with the rich young man (Mark 10:17-27 and Matthew 19:16-26). 1. Why did the man ask about eternal life? 2. What did Jesus mean by “perfect”? Why did this man ask about eternal life? This wasn’t exactly a common concern in Judaism of the time. 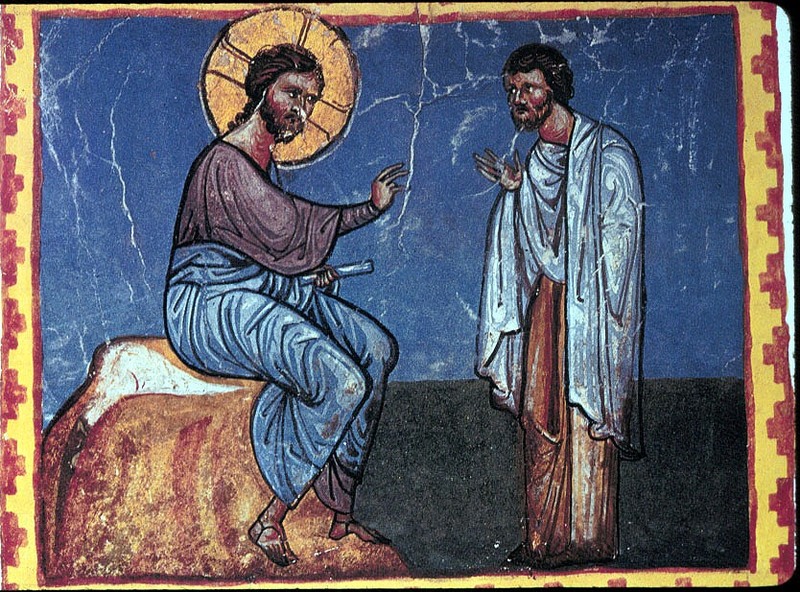 Ideas about resurrection to some form of judgment and life had begun to circulate among some groups 100-200 years before Christ – but mainly in times of persecution and national suffering. Times like that tend to bring out eschatological ideas and hopes. In Jesus’ time, Pharisees spoke of resurrection, but not the Sadducees, for example. Judaism was a religion of doing – and it still is. Most people had no time to speculate about such questions. They worried about providing for their families and where their next meal would come from. Only someone who was wealthy would have the time to be asking about eternal life! Here was Jesus, going around preaching about eternal life and the kingdom of God – all rather unclear, let’s be honest. Jesus was different from other preachers and rabbis, so the young man is curious; he wants to make sure he’s not missing out on something. That was also typical of the wealthy – and it still is: they want everything, they’re never completely satisfied. What good deed does he have to do to get this “eternal life” Jesus talked about? Jesus gives him the Ten Commandments. These commandments, given to Moses according to tradition, were never meant to give eternal life; they were commandments to guide life here, in community! Note Jesus’ initial answer: “If you would enter life, keep the commandments.” Life, not eternal life. The man is not satisfied. “I’ve kept all these commandments since my youth. What am I still missing?” This is the opening Jesus was waiting for. Let’s be clear: The only way to be rich in an agricultural society, especially one dominated by a foreign power (the Roman Empire), was by taking advantage of those who were weak and vulnerable and by charging interest on loans and eventually taking over possession of other people’s possessions and households. We see these dynamics reflected in many of Jesus’ parables and encounters. So really, sir? You haven’t stolen, you haven’t given false testimony, and have you really loved your neighbor as yourself? Really? Okay, let’s get to the bottom of this. You want to get eternal life? You have to be perfect in order to get eternal life. And how are you going to be perfect? You have to give everything you own to the poor. And come follow me. A bombshell of an answer. 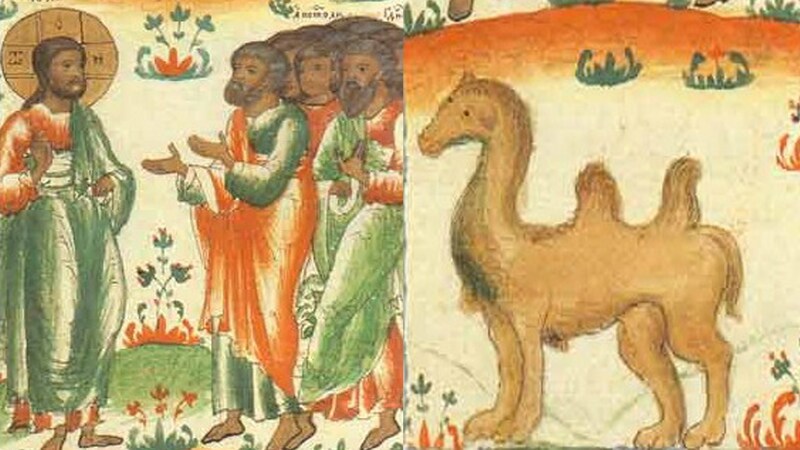 Jesus makes it even more impossible: It is easier for a camel to go through the eye of a needle than for a rich person to enter eternal life. The disciples are shocked. Who then can be saved? Ah, with humans, it is impossible; but with God all things are possible. You want to inherit eternal life? There’s nothing you can do that will make it possible, nothing. Follow the commandments in order to live worthy lives here on earth. But eternal life? For that something else is needed. Perfection? It’s beyond human power. Eternal life? It’s impossible for human beings. But God who is perfect and the giver of eternal life has done what is needed. We should not be concerned with eternal life. We should only be concerned with life, the life of every day and every situation. This is where Jesus questions us. Categories: Sermons | Tags: eternal life, human perfection, Jesus and the rich young man | Permalink.